1909-1913 Directoire (slightly empire) dress has princess seamed (boning optional) bodice to waist, with short or elbow length sleeves. 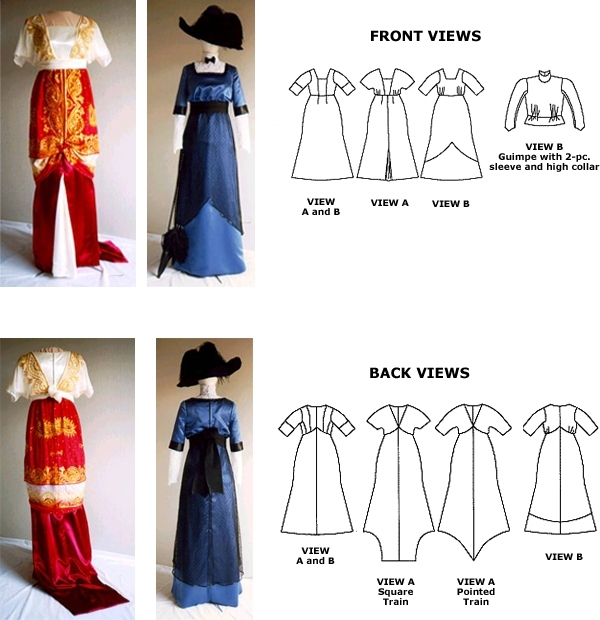 Two choices can go over that, kimono sleeve shown in View A or overbodice shown in View B. The skirt is sewn to the underbodice raised from the waist 2 inches in front and raised higher in back. Thee back can be trained or not, with either a square or pointed shape. Back opening has period placket with hooks and eyes or modern zipper. An optional overskirt can be added and modified to be straight or "V'ed". Dress pieces are interchangeable. 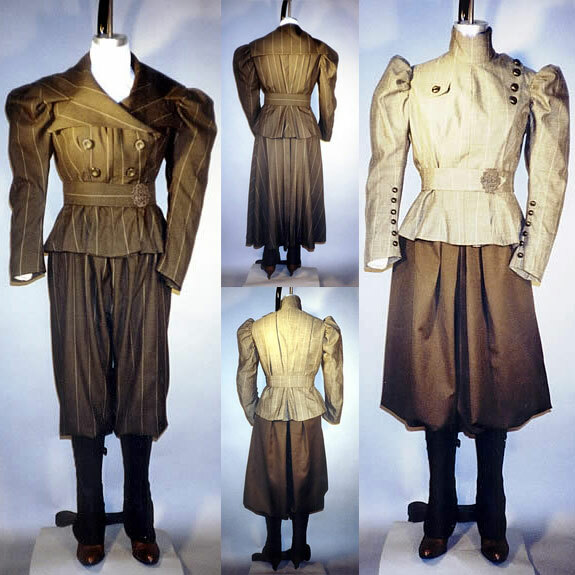 A separate guimpe (blouse) has a high collar, two piece sleeves, and buttons down the back. 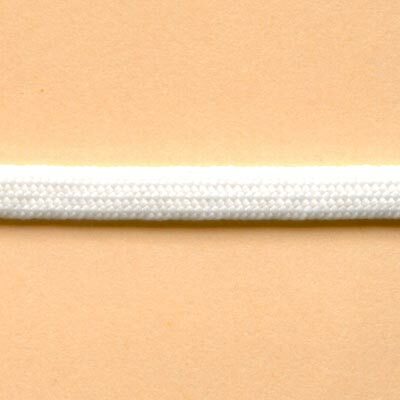 Period Sewing methods are shown and modern shortcuts are suggested. Lengths: Finished length of skirt at Center Front is 45 1/8". The skirt is approximately 2" elevated in the front - therefore the skirt is 43 1/8" from natural waist. Lengthening the skirt will add to the yardage. Notions: Dress: 12 small hooks and eyes, Ribbon as desired for the waist. 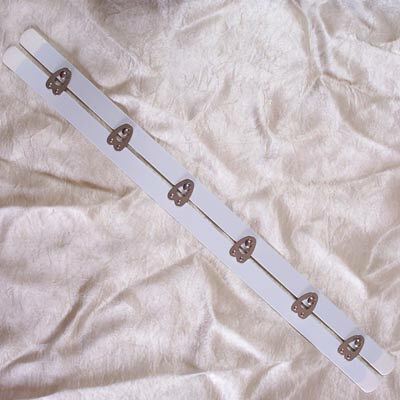 Optional: 1 1/2 yds 1/2" twill tape, small vest buckle, and for train 2 small weights. 1 7/8 yds 1/2" single fold bias tape, 22" zipper for modern shortcut. Guimpe: 13 Line 18 (7/16") buttons. Optional: 2 collar bones or wires, 1 1/2 yds 1/2" bias tape, 1 1/2 yds 1/4" ribbon. 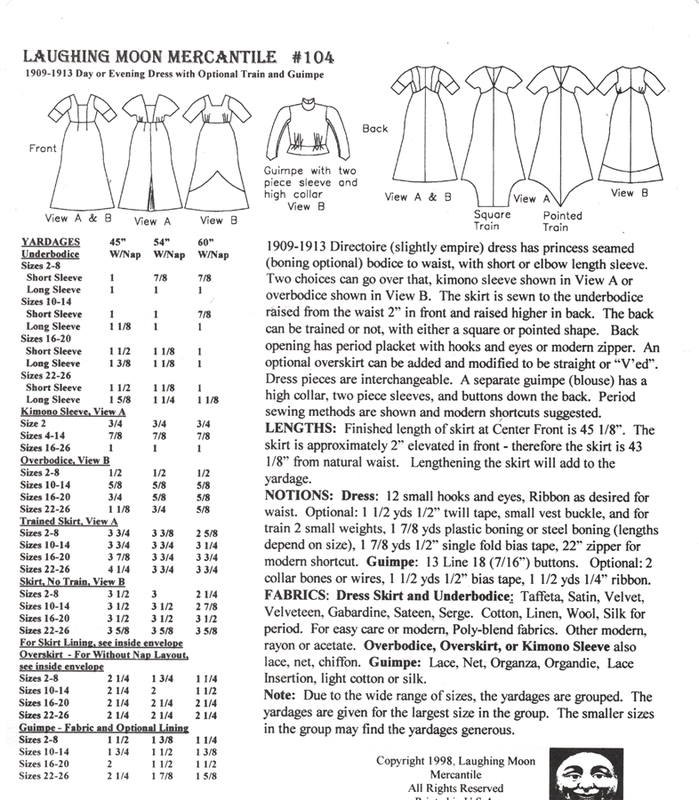 Fabrics: Dress Skirt & Underbodice: Taffeta, Satin, Velvet, Velveteen, Gabardine, Sateen, Serge, Cotton, Linen, Wool, Silk for period. For easy care or modern, Poly-blend fabrics. Other modern, Rayon or Acetate. 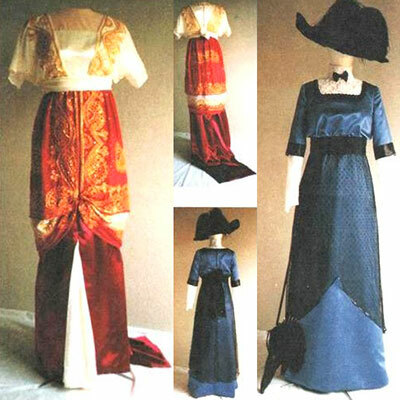 Overbodice, Overskirt, of Kimono Sleeve also Lace, Net,Chiffon. Guimpe: Lace, Net, Organza, Organdie, Lace Insertion, light Cotton or Silk. Note: Due to the wide range3 of sizes, the yardages are grouped. The yardages are given for the largest size in the group. The smaller sizes in the group may find the yardages generous.